Is your toddler knee-high, three feet goin' on six? 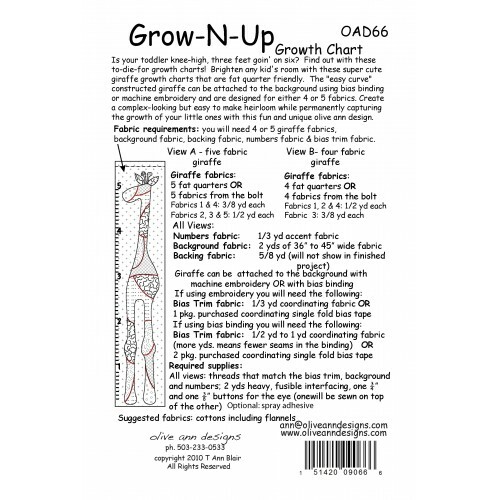 Find out with these to-die-for growth charts! 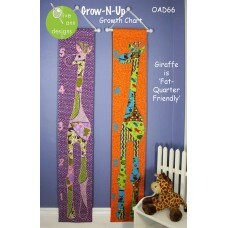 Brighten any kid's room with these super cute giraffe growth charts that are fat quarter friendly. The "easy curve" constructed giraffe can be attached to the background using bias binding or machine embroidery and are designed for either 4 or 5 fabrics. Create a complex-looking but easy to make heirloom while permanently capturing the growth of your little ones with this fun and unique olive ann design. 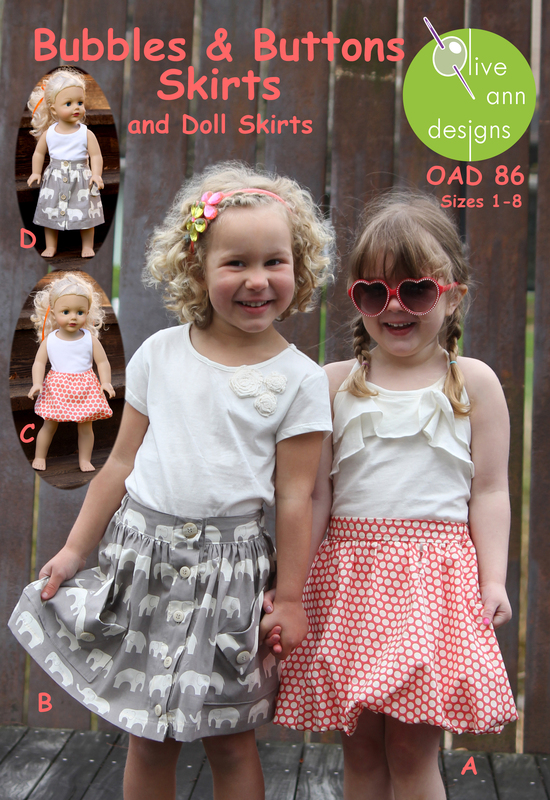 Available in a tissue pattern with complete, detailed and easy to follow instructions.